As previously noted, Nepgear put in her first appearance right at the outset of Hyperdimension Neptunia mk2, since the main cast of the series (and Nepgear) had found themselves captured and imprisoned in the Gamindustri Graveyard at the heart of the Hyper Dimension. 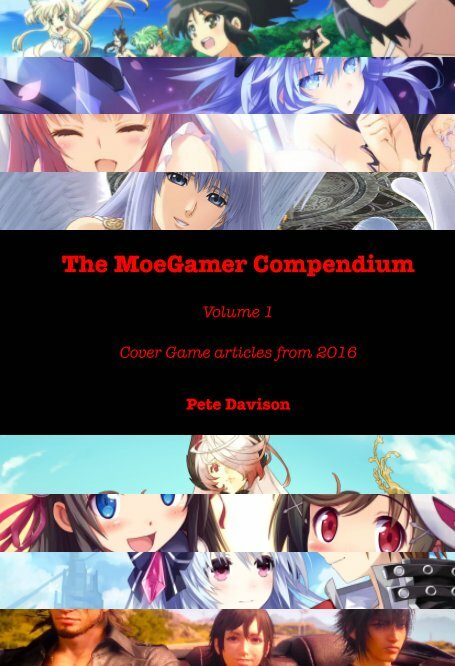 After being rescued by recurring secondary characters IF and Compa, who personify Neptunia developers Idea Factory and Compile Heart (much as the goddesses personify gaming hardware manufacturers Sega, Sony, Nintendo and Microsoft), Nepgear and her friends hatch a plan to rescue the elder goddesses. 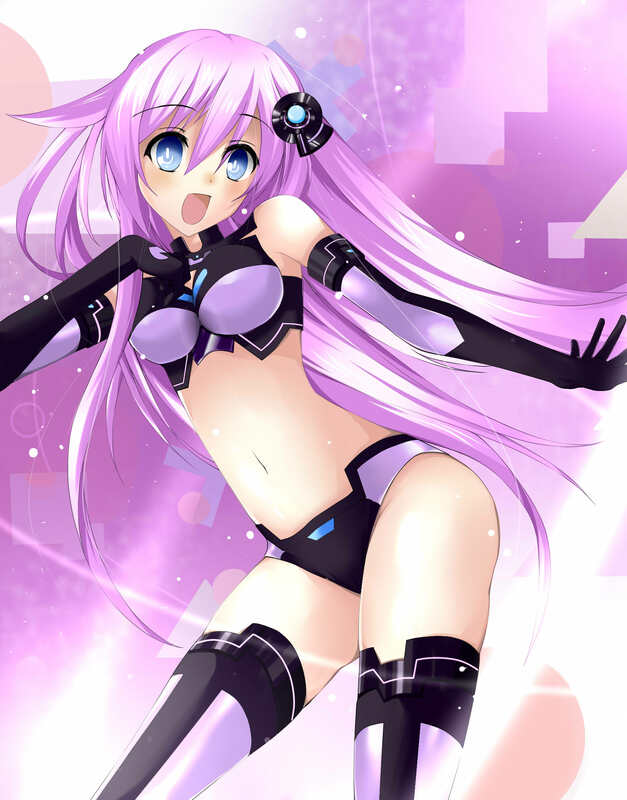 Much of the game involves Nepgear assembling the younger sisters of the main cast — known collectively as the “CPU Candidates” — in order to mount her rescue mission, restore the world’s faith in their goddesses and put a stop to the nefarious deeds of the Arfoire Syndicate of International Crime, or ASIC. 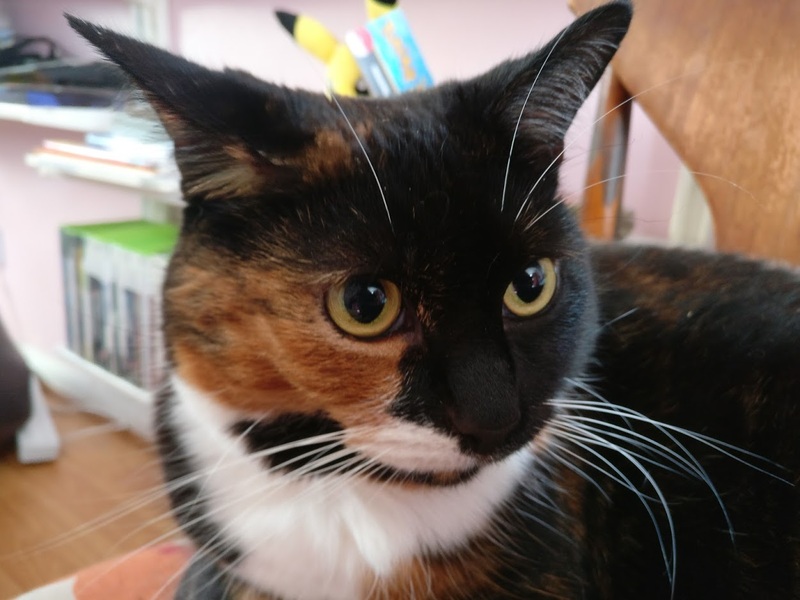 Over the course of the game, she proves herself to be a highly capable, charismatic young woman who inspires courage in people through her pleasant, responsible and genuine nature, though she lacks confidence in her own abilities and is particularly self-conscious about being perceived as “boring”. She’s a total nerd at heart, with a particular interest in electronics, technology and machinery, and frequently baffles the people around her with her in-depth knowledge of subjects such as mecha and weaponry. Her technical knowledge causes Lastation CPU Candidate, sister of Noire and PSP/Vita personification Uni to naturally be drawn to her, since Uni is an enthusiast of guns and military hardware, particularly long range rifles. And indeed, the growing relationship between Nepgear and Uni is explored a great deal throughout the series right from their first appearance on screen together in mk2, and at the time of writing anyone who doesn’t think they’re at least slightly romantically attracted to one another, if not actually already in a couple, is clearly not paying any attention whatsoever. 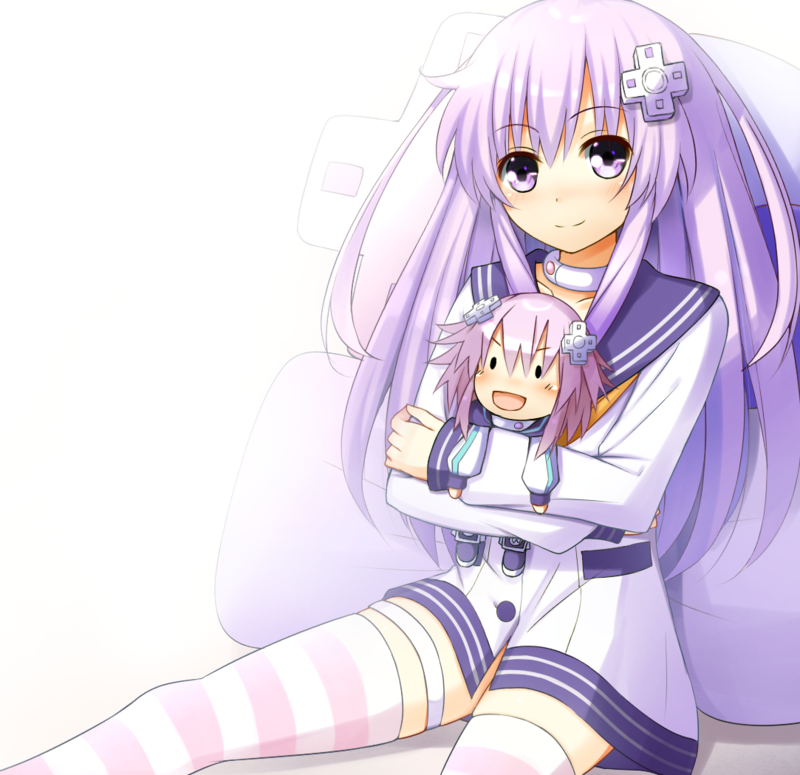 Nepgear’s concern about being “boring” primarily stems from the huge contrast between her and her sister Neptune. Neptune is wild, chaotic, immature and irresponsible, while Nepgear is restrained, dependable and a little awkward but nonetheless passionate. Such is the contrast between the two Purple sisters that Nepgear is frequently mistaken for the older of the two — a fact that Neptune is rarely in a hurry to correct people on if it means she might be able to get out of having to do some work. 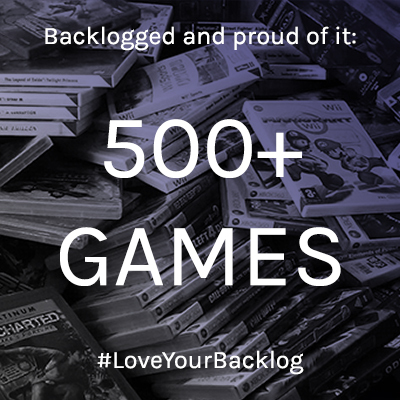 We see over the course of all the games that Nepgear is dedicated to the things she sets her mind to, and doesn’t give up until her goals are accomplished. This is taken to a somewhat extreme level in mk2 and ReBirth;2’s notorious “Conquest” ending, where Nepgear believes the only way she can defeat the revived evil goddess Arfoire is to make use of a cursed sword that draws its power from the life force of goddesses. While she does everything in her power to avoid having to take the lives of her friends and loved ones — including her sister — she is eventually left with no other option, and carries her dark duty through to its completion, even though she knows it will leave her all alone. 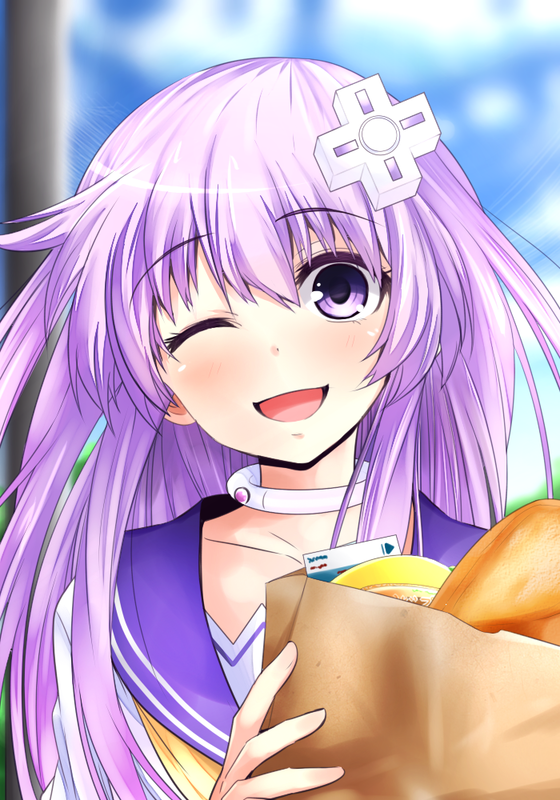 Thankfully, such dark matters are only a concern in mk2 and Re;Birth2, and for the rest of the series Nepgear is a character who always brings a pleasing feeling of warmth to any scene in which she appears. She’s so kind, genuine and respectful to everyone around her — even when they don’t treat her particularly well — that it’s impossible to dislike her. And, despite her concerns over how she (and others) perceive her, she manages to pull this off without ever becoming boring or one-note. 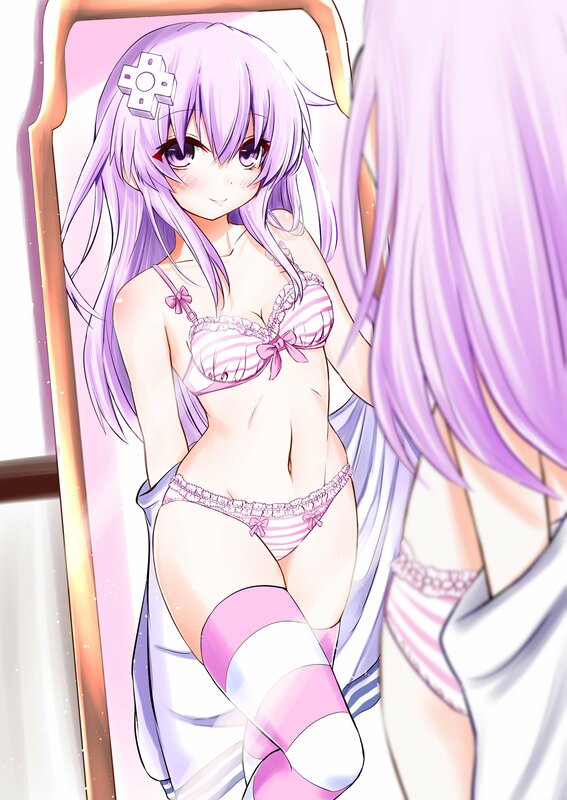 Interestingly, Nepgear is one of the few characters in the series who does not undergo much of a personality or appearance change when she transforms into her goddess (or “Hard Drive Divinity”) form. This is in stark contrast to Neptune, who goes from being a loudmouthed borderline loli in her human form to a curvaceous, softly spoken and older-looking woman as a goddess. The fact Nepgear doesn’t change all that much between her two forms is, of course, used to play up the differences between her and her sister, but it can also be interpreted as her already being in possession of many of the qualities that make a good goddess — determination, responsibility, kindness, compassion and inner strength. 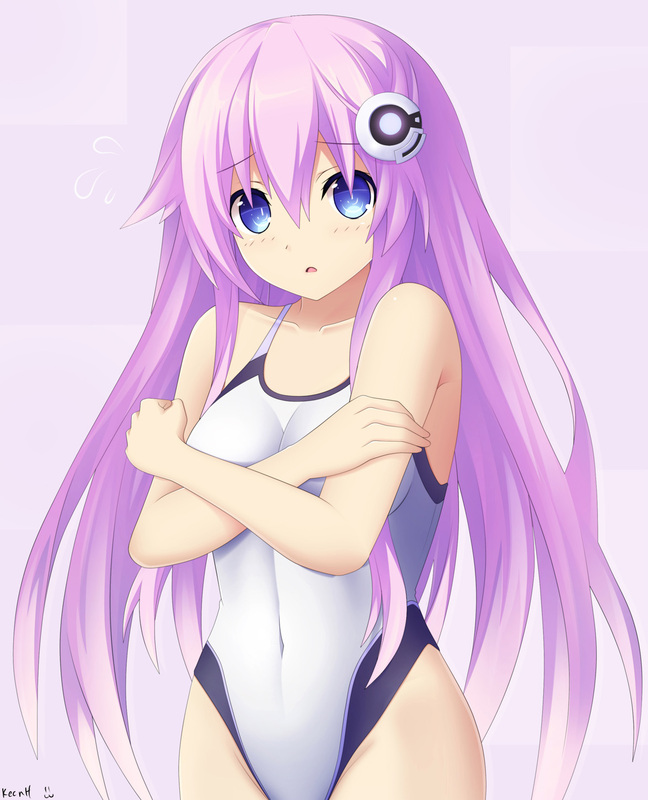 From a more metaphorical perspective, since the CPU Candidates are supposed to personify the handheld systems from throughout the years — hence Vert not having a sister, since there has never been a portable Xbox, and hence Blanc having two sisters, due to the Nintendo DS’ two screens — you can also interpret Nepgear’s lack of changes following transformation as Sega only ever having had a single handheld: the Game Gear, after which she is named. In fact, you can take this further and argue that Nepgear is likely represented as so mature and responsible because the hardware on which she is based is considerably older than that of her peers; the Game Gear came out in 1990, while both the DS and PSP appeared in 2004, some 14 years later. You can probably pick apart how she is represented even further than that, but I’ll refrain for now! Nepgear appeals to me for a very simple reason: she’s just someone I feel like I’d enjoy hanging out with, playing games and talking about nerdy stuff. It helps that I find how she is depicted very attractive too — particularly with Yui Horie’s rather sweet and distinctive voice playing her part in the original Japanese audio — but this is a distant concern far behind how much I simply like her as a character. Fortunately, she’s had a role in pretty much every Neptunia game since her first appearance, so I don’t think she’s going anywhere! Now, when’s she getting another game as the lead, hmm?